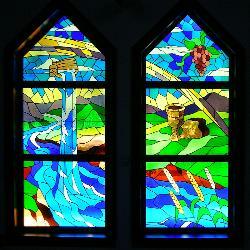 The Sanctuary at Clemmons Presbyterian is adorned with beautiful stained glass windows that are symbolic of the life of Christ and the gifts that He offers. 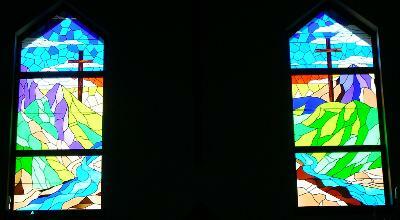 ​The Calvary Cross windows feature the two crosses upon which the bandits, who were crucified alongside Christ, hung. The Sacraments window depicts images of bread and wine.